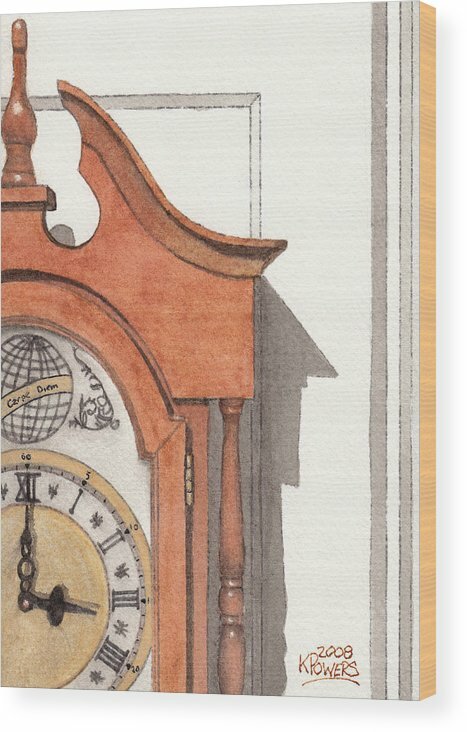 Grandfather Clock by Ken Powers - 7.125" x 10.000"
Grandfather Clock wood print by Ken Powers. Bring your artwork to life with the texture and added depth of a wood print. Your image gets printed directly onto a sheet of 3/4" thick maple wood. There are D-clips on the back of the print for mounting it to your wall using mounting hooks and nails (included). Yes, this is a lovely piece. I like the subtle colors in many of your pieces. Thanks for the nice comment Ken! I'm slow to get stuff up with two babies turning the computer off every five minutes! I really like your work too! 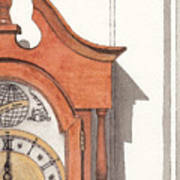 This grandfather clock piece is great! This seems to be one of the better sites I have been on for art! Hellon Ken ! Thank you very much for so kind comment ! I like this Grandfather Clock ! This is really good work ! Definitely a show winner. The first thing I thought of when I saw this, right off, was Grant Wood's "American Gothic". No people in this piece, as with his, but the design, frank assessment and attitude are there. Very classy. Nice work, compositionally, and technically. 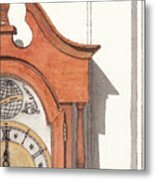 The hands of the clock echo that corner of the painting; the top curve of the wood contributes a nice guide for the eye; the texture of the Arches paper shows through beautifully. This is my favorite work of yours. Interesting and well done. Thanks for the nice comment about my Quiet Bay painting. One really appreciates comments especially when favorable. Keep up the good painting. This clock has been in my house for nearly 15 years. I just thought about painting it the other day. It is painted with 18th century reproduction watercolor paint on Arches 140# paper.